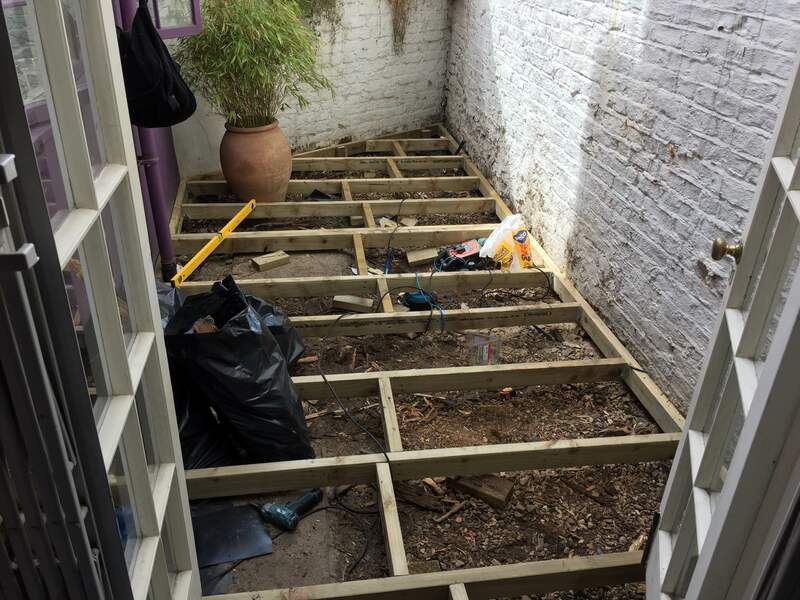 The initial request of a family living Kensington was to remove rotten wood boards as part of the decking repairs at the back of the house and replace them with new ones. However, after the handyman performed a survey, it turned out that the joists of the foundation of the decking had rotted away. 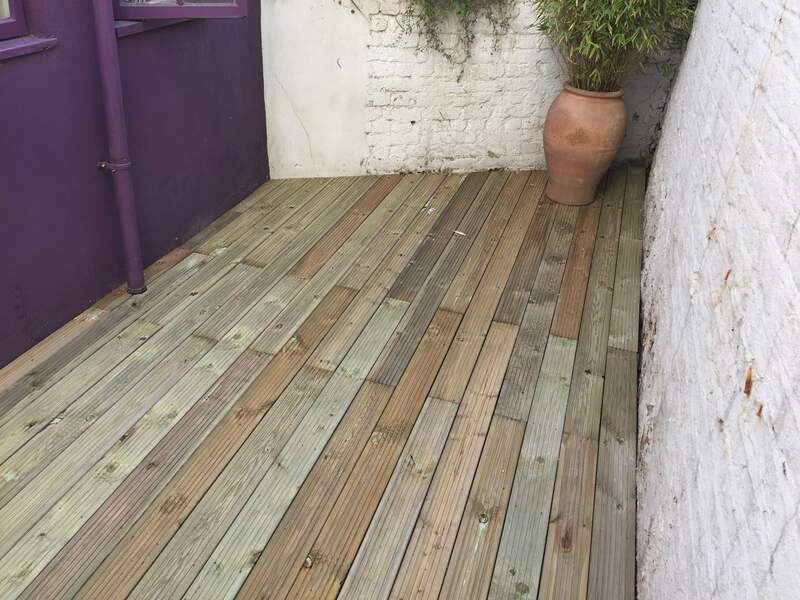 Luckily, the Fantastic Handyman partners, who operated in the area, were skilled enough to tackle the project, which required a completely new decking installation. 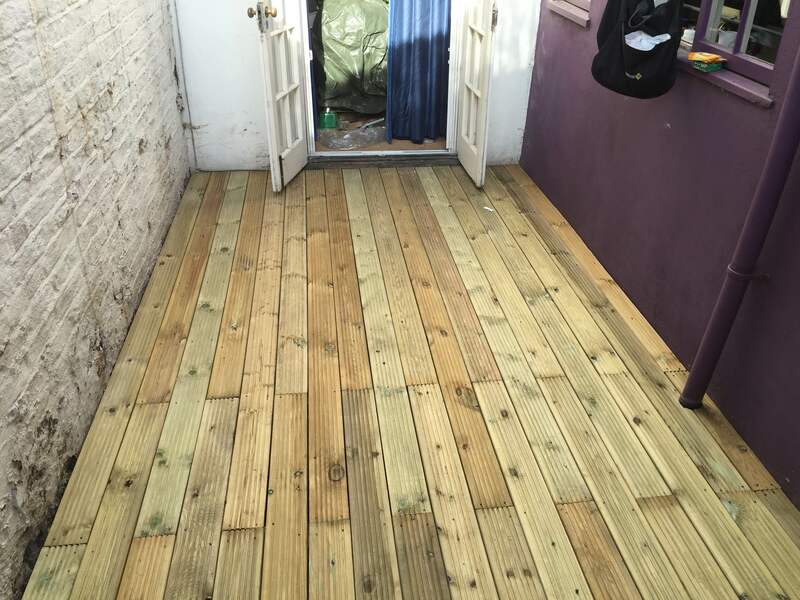 The customers agreed on our quote for decking building services and soon a team of two operatives was sent to perform the task. First things first - the job couldn’t start before the materials were provided. The Kensington handyman team had to visit a local store and purchase the materials. The team and Fantastic Handyman recommended Grooved Treated Deck Board to be used and the customer agreed with this option. 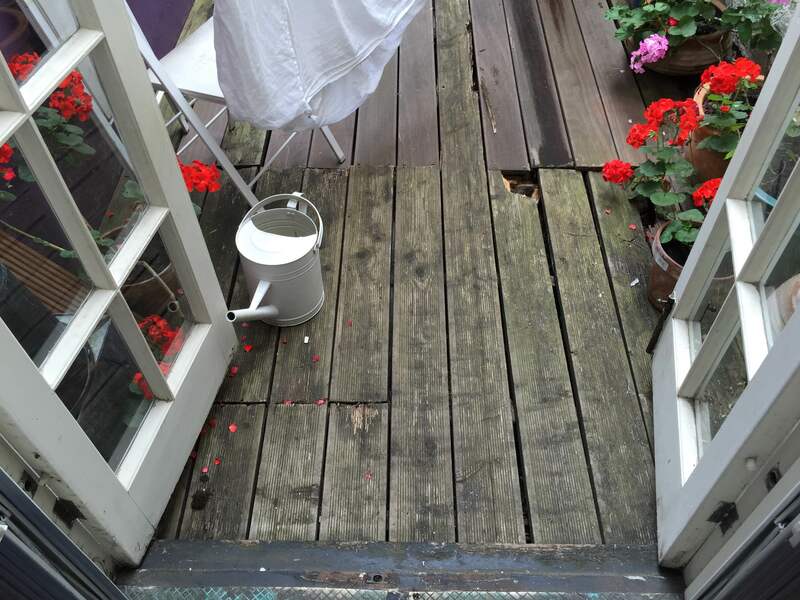 The specific feature of thеse decking boards was that they had been pressure-treated with an additional wax treatment, which slowed down the rate of water absorption. It was an excellent choice! The team was assigned to purchase the materials: the decking boards, the joists and the fixings, which had been all pre-treated. Before building a new decking, the handymen had to get rid of the old boards. They managed to saw off and bag up the rotten joists in under an hour. The experts proceeded with carefully laying the foundation of the new decking. The joists were fitted to the walls and attached with screw bolts for stability. After the sides of the foundation were prepared, the handymen also extra cautiously placed joists between the walls to form the frame. The joints were neatly spaced at half a metre apart. Where necessary, the handy carpentry team, cut down the joists to size. The joists were tightly screwed with fittings to the wall joists on both sides. After the joist foundation frame was built, it was time to nail down the deck boards on top. All of this was done professionally, neatly and efficiently! 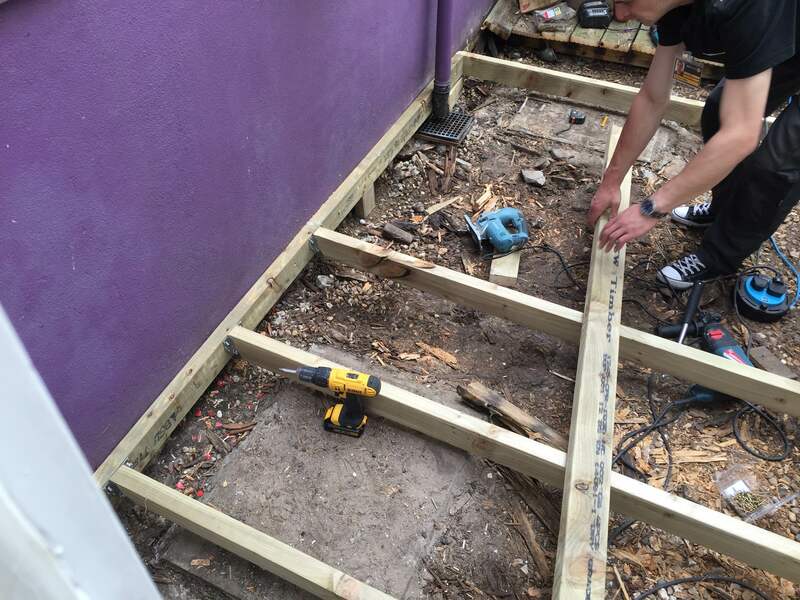 Since the space for the decking narrowed down, the carpentry team had to measure and cut the boards carefully before nailing them down to the frame. One last detail was to create a special gap between the floorboards around the gutter pipe. The handyman team once again proved their dexterity and showed remarkable diligence in their work! Thank you for finishing my deck replacement in a timely manner & cost-efficiently. 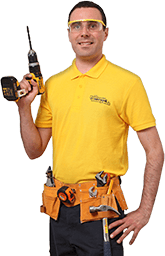 The Fantastic Handyman team is neat, polite & professional!